Going, going, gone… that is the state of heritage in Australia 2013 where all forms of government both local and state are combining to push through inappropriate development with total lack of public consultation and complete disregard for social, environmental and heritage impacts. This has to stop, there is too much to lose, and we as residents are the only ones who can fight it. At the very least, I would like to show people what we are losing, week by week, as our suburbs are ingloriously stripped of their heritage treasures, instead becoming monotonous concrete beds of overdeveloped units and overcrowded consumerist vacuums of non-culture. The current trend is unsustainable, it is purely profit driven for the short term goals of developers and political interests. The people come last, heritage is all but forgotten. things have to change dramatically. My name is Andrew and I started this blog in June 2012 in response to the proposed demolition of a heritage building ‘No.47’, but there are so many cases before and since that warrant our attention. The leaders of our governments are failing repulsively, selling out to developer lobby groups who destroy our lifestyles while lining their own pockets. I am based in Sydney NSW Australia but try to cover areas beyond, as these issues are starting to affect us all. 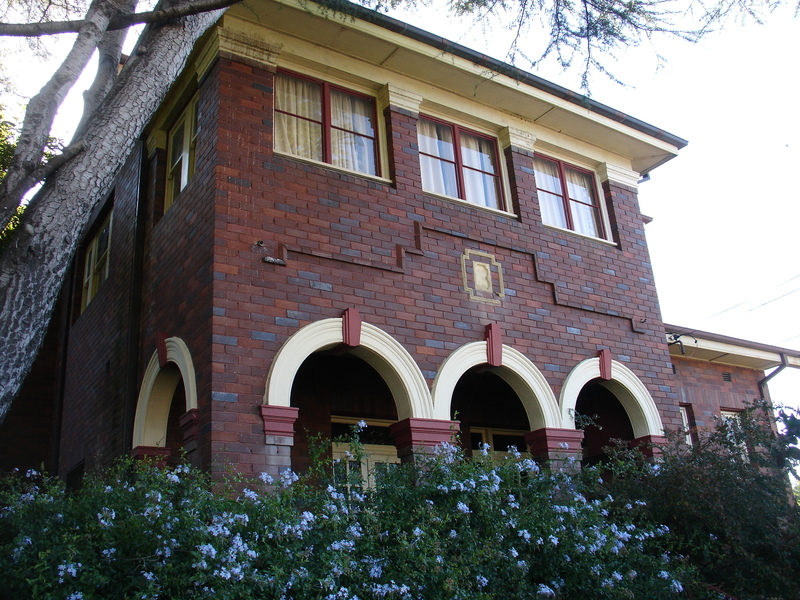 I am primarily concerned with the preservation of heritage buildings, and education of heritage values, to improve the levels of protection and awareness that these significant community assets deserve. The first thing you can do is follow this site, as I update regularly. Then you can leave comments, the more the better, that’s why we are here, for discussion. If you have any leads or stories you would like to see covered do not hesitate to email. You can contact me on inheritance@tpg.com.au. All material is copyright and opinion of the author only. VIVE LE REVOLUTION! VIVE LE HERITAGE! Terrific site Andrew – I’d love to know more about you. Before it is ALL GONE !!!! 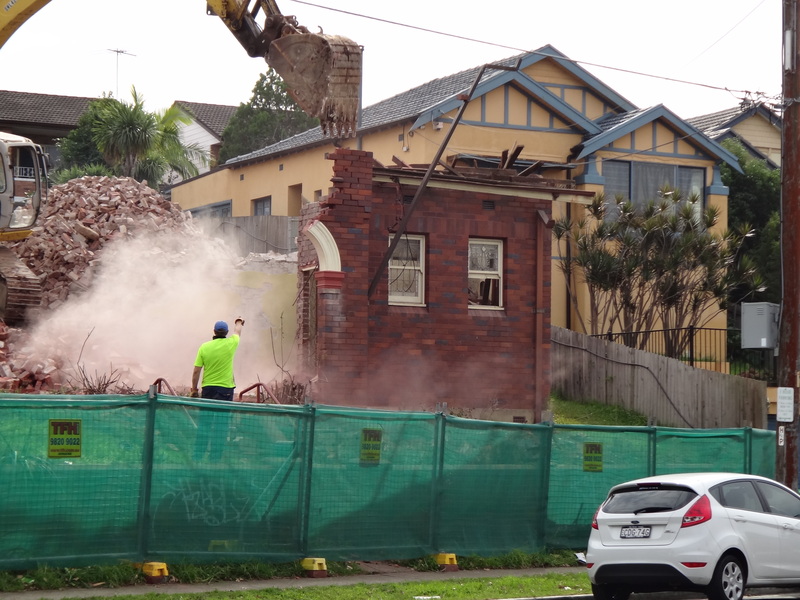 We are currently fighting our local council (Hunters Hill Council) who have removed the heritage protection on a property in our neighbourhood so that it’s value can be increased as a development opportunity. Surprise, surprise – 2 weeks later they have chosen to sell it to a developer in a backroom closed door deal who wants to demolish the building. Wouldn’t you agree that Article 7 does highlight what is really occurring, right now, in the Sutherland Shire, St George area, and the entire Sydney expanse? At the expense of; corrupt Council Mayors, avaricious Developers, and to some extent, the very owners, who sell their homes to developers, Sydney men, women and our children are losing our rich “inheritance.” Sydney IS losing its majestic heritage homes, cosey and private family homes, and its tree-lined streets, that are subtlety representative of how Australia came to be where she is today.at this very second, at this very moment. in History! renowned of all the lands:” They did this through living Honest lives and dedicating themselves to raising decent children who would become decent citizens. My Father and Mother raised a large family of Honest, Decent, God-Fearing and Loving, Men and Women, who would be robust in character, in order to carry on those same moral beliefs that they handed onto us. That is why I am uniting with all the good, decent, honest people who have e-mailed their concern of over-development to the “INHERITANCE” website. Hello Andrew. I wonder if you are aware of the current situation regarding the Avoca Beach Theatre development application and that submissions are currently being accepted until Nov 11th 2016. Submissions can be made through Gosford Council’s website. This is part of a mediation process between Gosford Council and the Avoca Theatre development applicants. Your introduction above, written in 2013, is still as valid today as it was then. Here in Glebe, NSW, local residents are currently fighting the demolition of the Bidura Children’s Court, a major civic building in the Brutalist style, built by the now disbanded (by the current NSW government) Government Architect’s Office.The building features on local and overseas websites, and has just been listed by the National Trust and added to the Significant Buildings Register of the Australian Institute of Architects. The main reason for the listings was the way the building was carefully designed to fit into its urban context, surrounded as it is by small Victorian terrace houses. Yet it does not overshadow or overlook these houses, nor the Colonial Regency house at the front of the site. Now a developer wants to pull it down and erect another modern tower block on the site. Enough already! Let’s consider the environment, as well as heritage. It’s far better to adapt and reuse the building than pull it down.